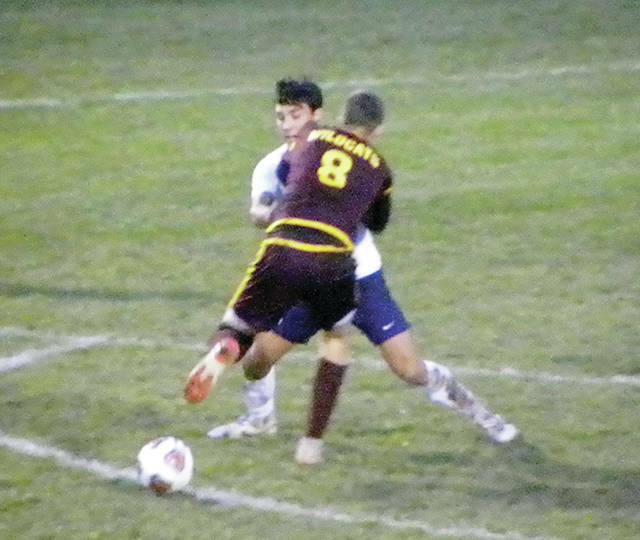 Josh Kidder of Archbold tries to get around a Kalida defender (8) for a ball during Wednesday’s Division III regional semifinal in Findlay. The Bluestreaks shut out the Wildcats 4-0 to advance. FINDLAY – The first goal Archbold scored Wednesday might have been with a little luck. The other three, those were all skill. Archbold (19-1) will now face Independence (20-0) tomorrow at Port Clinton High School for the regional championship.